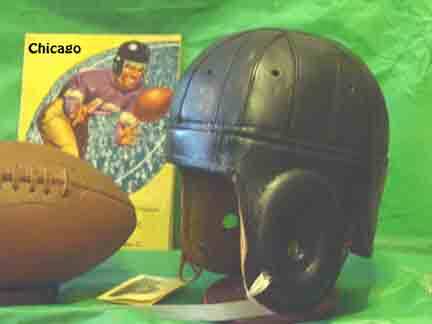 1940 Old Chicago Bears Black Style leather Football helmet- this is the color the old 40s Bears wore...pre 1940s they wore an all brown like our rust colored cordovan helmet when Red Grange played for them...into the late 30s and 40s when players like Sid Luckman played fort hem they went to an all black leather helmet. Which followed them into the 1950s when plastic helmets came into vouge. This is a large full size helmet and will fit up to a size 8. 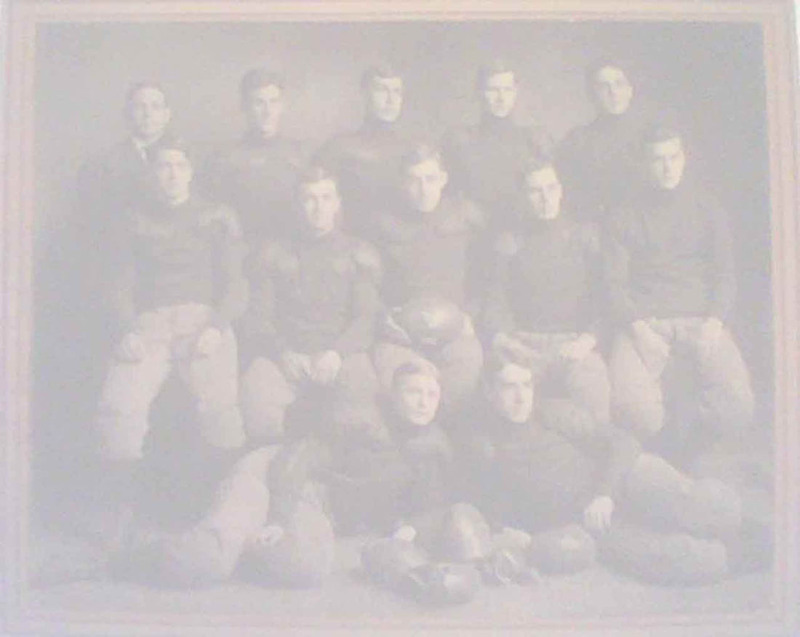 Also this all black helmet fit many of the early college teams in the 1940s era. Hand made, hand sewn of fine aged and tanned leather this helmet makes a unique gift , award or collectible that touches the early golden era of football and the old leather helmet teams both Pro and College. Our antique style 1900-1940 leather football helmets , 1910-1930 antique style baseball gloves, 1890-1920 vintage laced leather basketballs, 1910-1930 old time soccer balls and 1890-1930 Water Melon footballs are all hand crafted , hand sewn and aged and tanned to have the look and feel of the original museum quality equipment of the early golden years of vintage sports. We pride ourselves in giving you leather products that are true in size , shape and style to their valuable museum counterparts. vintage leather sports equipment concept since 1996.